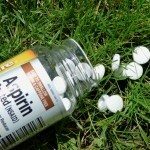 An article mentions aspirin for plants immune system. 3 aspirin per 4 gallons. This is the 300mg aspirin, not the baby aspirin of 75mg? I have used 75's and 300's with similar results. If anything, the 300 mg uncoated tablets help more with rooting. This is my preferred use for them. In soil I used it for overall health of plants, but in hydroponics, I use it for vigorous root stimulation. I found that using a single tab for 2 gallons was sufficient with half a tab being the threshold for noticeable effect. Just make sure that they are uncoated tablets, as the coated kind don't work near as well. Thankyou Bush Doctor, for your prompt and excellent reply. I will follow your advice.